Efforts to establish a primary care system in China are faltering because a lack of qualified doctors entering the specialty, according to the People's Daily. It says GPs account for about 50% of doctors in western countries but only 5% in China. In addition, few young doctors want to become GPs because of the poor status, lack of career prospects and poor pay. The article says China must increase pay and career prospects for community care doctors if it is to achieve its stated aim of having a gatekeeper system to reduce hospital overcrowding. In Sichuan, villagers have petitioned to expel an 8 year old boy because he is HIV positive. Even his own grandfather was among those who signed to get rid of the boy from an un-named village. The villagers said the boy was a 'time bomb' and he should be removed to "protect villagers' health". The Washington Post has a feature on the new wave of foreign investors trying to make a buck out of the rapidly changing and deregulating Chinese healthcare system. However, the feature notes that efforts by foreign investors to open hospitals and clinics in China is limited by the lack of medical insurance and the overall shortage of skilled doctors in China. Chinese ministers are doing the rounds of county-level hospitals, which are the target for the next wave of reforms. The government wants to try stop the decline of county hospitals as patients bypass them and head straight to major city hospitals, which they believe to have more expertise. 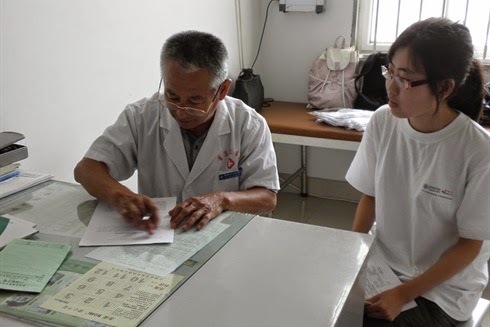 One in four patients admitted to rural hospitals in China doesn't need to be there, according to a study from Tongji Medical University in Wuhan. The study found that 27% of patients at rural hospitals had been admitted inappropriately, with wrongful admission rates as high as 37% for older Chinese. The researchers said the higher reimbursement levels provided in the New Rural Medical Insurance scheme for inpatients than for outpatients encouraged patients to be admitted and treated inappropriately.